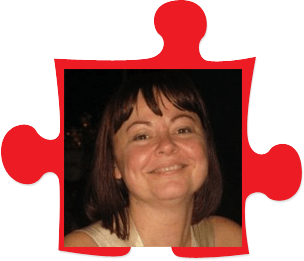 With over 20 years of experience in the field of Autism and Special Needs, she still continues her education. She loves working in an environment where she makes a difference in the “quality of life” for the people she serves. Her dedication is to the whole family not just the classified child. She served the community as an EMT for 12 years, 10 years in the town of Paramus. She is still a CPR, AED, and First Aid instructor at the Bergen County EMS Training Center. She has many other civic, state awards & other certifications not related to the education field. She was a psychology major seeking a degree in grief concealing but after the tragic deaths of her 2 Autistic nephews, and having special needs children of own decided to dedicate her life to this population. She is a parent of 3 boys, 2 girls and is sponsoring another young lady from Guatemala for 12 years who proudly calls her “mom”. Pattie is also trained in: CDA, Verbal behavior, Sign Language, Procedural Safeguards, Incident Command, Handle With Care, Behavior Management System IFSP, Speech Therapy In-Service, Early Intervention, ABA/DI, OT Strategies In-Service, Professional Development Documentation, School Avoidance, and Behavioral Treatment.